This well bonded pair, which we believe to be father and son, are looking for a home together. They are very gentle and once they get to know you love lots of fuss. 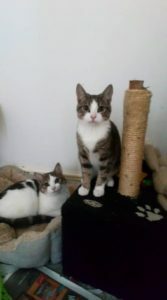 They have been neutered, microchipped and have had their first vaccination.